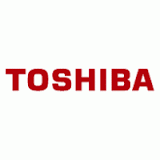 Genuine Toshiba T-FC50-M (tfc50, tfc50m) Magenta copier printer toner cartridge. Constructed for use in Toshiba E Studio copier printer models 2555c, 3055c, 3555c, 4555c, 5055c, original TFC50M magenta toner cartridge. Swift same day warehouse processing & dispatch.